I am excited! I have been chipping away at my Miss Polly dress pattern this week and it is ready for testing! Miss Polly is a vintage inspired feminine fitting A-line dress pattern that offers plenty of options to create your own unique look. 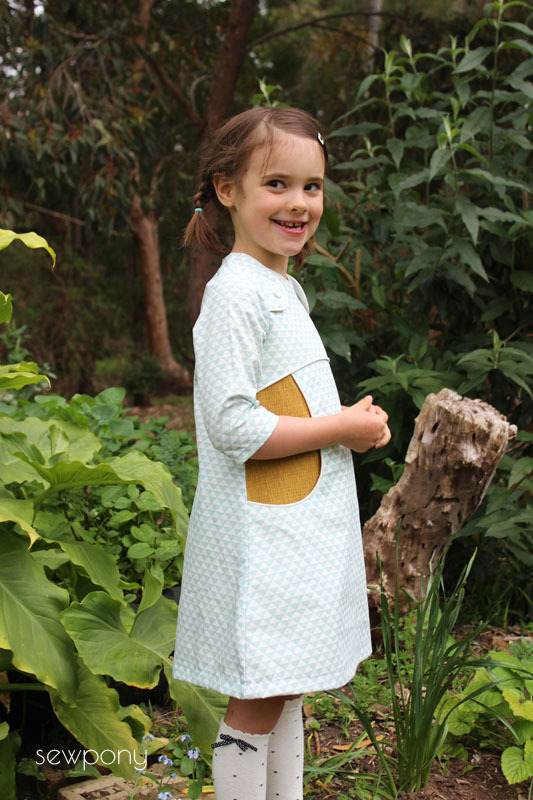 The dress features a separate front yoke and skirt with a large apron pocket that is accented with piping. The decorateive pipied shoulder flaps are a uinque detail that feature big buttons. 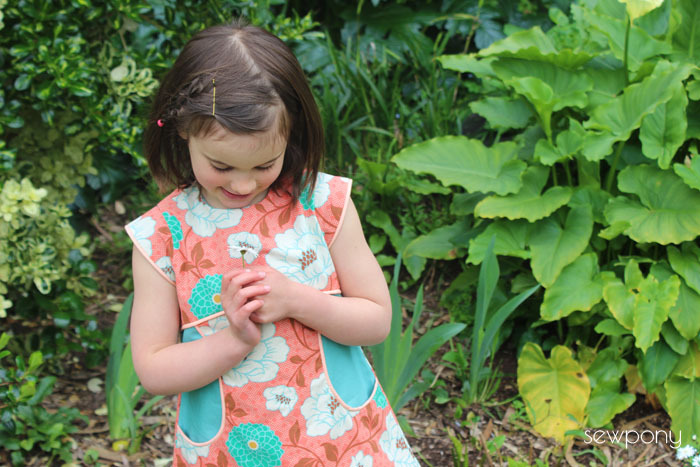 Miss Polly offers sleeveless, piped capped sleeve, three quarter and long sleeve options to make this pattern suitable to be used all year round. The dress closes with an invislbe zipper at the back to allow it to be a semi-fitted silhoutte. Mix up your fabrics and piping for a fun and unique look. SIZES 12 MONTHS - 12 YEARS. You can see previous versions I have made below (you can search 'miss polly' on my blog or #misspollydress on instagram). 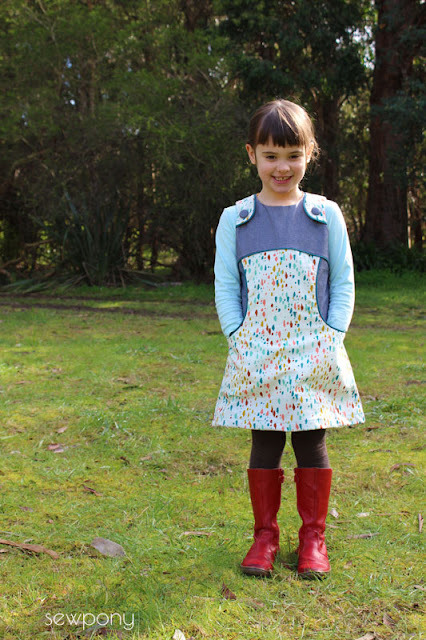 If you would like to test the Miss Polly dress pattern, I would love to hear from you! (TESTING CLOSED) . I will be in touch in the next day. Suz, what are the sizes for this pattern? 12 months and up? I love all the versions, applying now! i would love to test this pattern. Waw, great dress! I also would like to test! I would like to test size 5 please! If you're still looking for testers...I have an 18 month girl and a 5/6 size girl..(depends on your chart of course!) LOVE the vintage-y feel to this dress! I love the details of the dress and would love to test size 5y and 2y. I suppose tester have been picked already? It's too late for this pattern, but if you need more testers, I would LOVE to help! I have 6 grandchildren (3 boys and 3 girls) and love sewing for them. 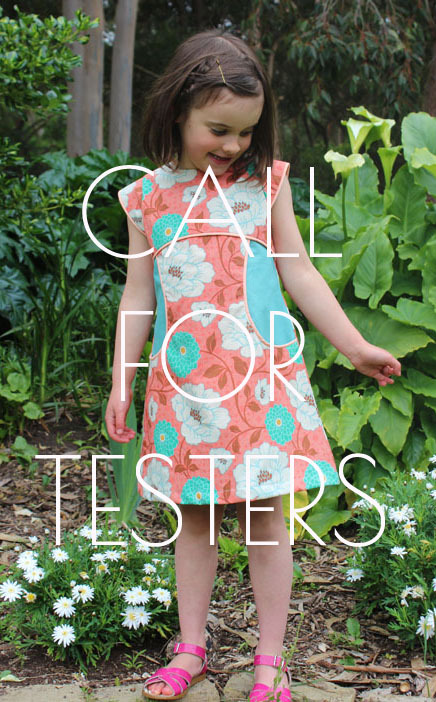 If you still need any testers, I have a 7-yr old daughter, and two nearby nieces ages 11 & 8. Would love to sew this up and help you test!